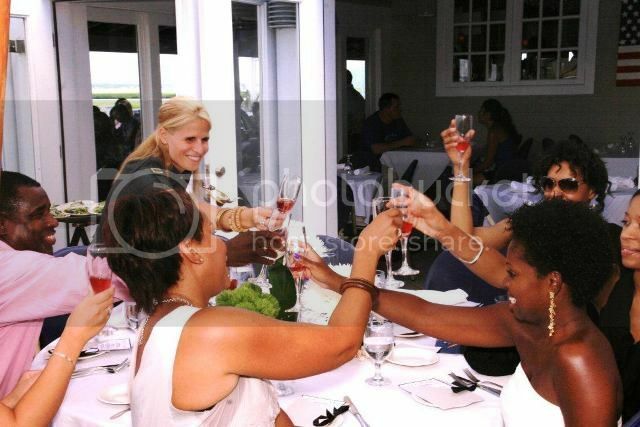 Diversity Affluence , a marketing communications and business development consultancy, launched its Leaders, Achievers & Pioneers Brunch Series ™ amidst the dynamism and glamour of The Hamptons. The company uses traditional and unconventional approaches to advise marketers, the media, agencies, and entrepreneurs on how to reach affluent African Americans, also known as the Royaltons. 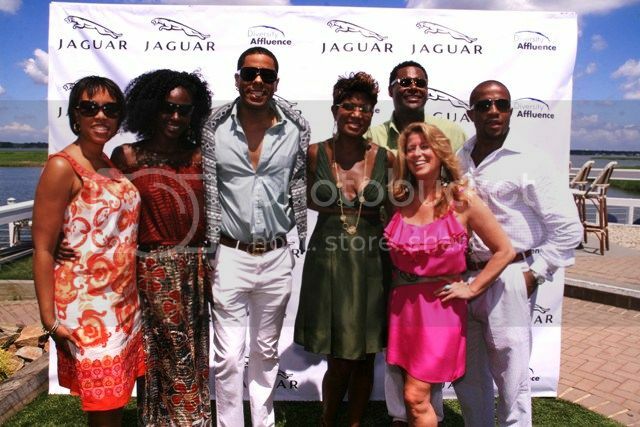 The brunch series, presented by Jaguar, will honor a diverse array of individuals throughout the summer from the worlds of media, entertainment, fashion, hospitality, and philanthropy. Pictured in the above photo: Diversity Affluence founders Andrea Hoffman (pink dress) and Bernard H. Jackson, III (green shirt) join Host Committee members Diana Hilson, Princess Keisha Omilana, BJ Coleman, Jocelyn Taylor and Nkrumah Pierre. Award-winning actor Malik Yoba hosted the first event in the series on July 11th on the terrace of Dockers Waterside Restaurant & Marina in East Quogue, NY. Honorees Desiree Dancy, vice president of diversity and inclusion for The New York Times; Stuart Scott, sportscaster and anchor, ESPN’s Sports Center; and Food Network Star Aaron Sanchez, Executive Chef/Co-Owner of Centrico were recognized for their achievements in media, entertainment, and advancing the diversity agenda in America. 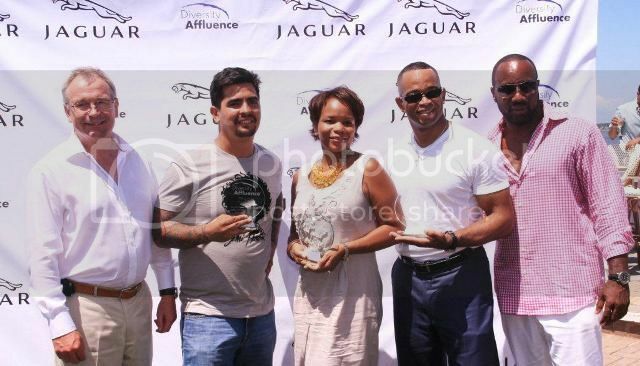 Jaguar North America's Executive Vice President of Sales and Marketing Richard N. Beattie (left) and actor-producer Malik Yoba (right) honor Diversity Affluence Leaders Achievers and Pioneers Awards Honorees Aaron Sanchez, Desiree Dancy and Stuart Scott. Champagne and spirits were generously provided by Moet Hennessy USA. Subsequent events will be held on July 25th and August 22nd. Moet & Chandon, the world's most loved champagne and Belvedere Vodka will be offered exclusively at each invitation-only event.